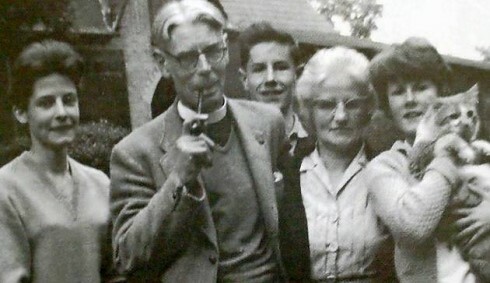 Reverend Awdry, the famous author of 26 children’s books that form ‘The Railway Series’. The son of an Anglican clergyman, Awdry was born at Ampfield vicarage in Hampshire. When he was 6, his father moved parishes to Box in Wiltshire and it was there that the young Wilbert’s interest in trains began. 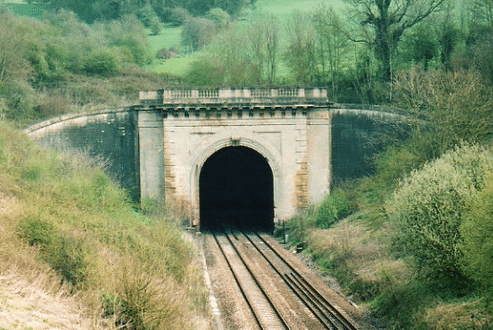 The Great Western Railway line from Paddington to Bristol ran through the parish and there the line entered Brunel’s 1841 Box tunnel (for a time the longest in Britain). Wilbert would lie in bed at night listening to the noise of the engines and he later described to Roy Plomley on BBC Radio’s Desert Island Discs how he and his father would engage in trainspotting the names of GWR engines, with a telescope aimed through his father’s dressing room window. 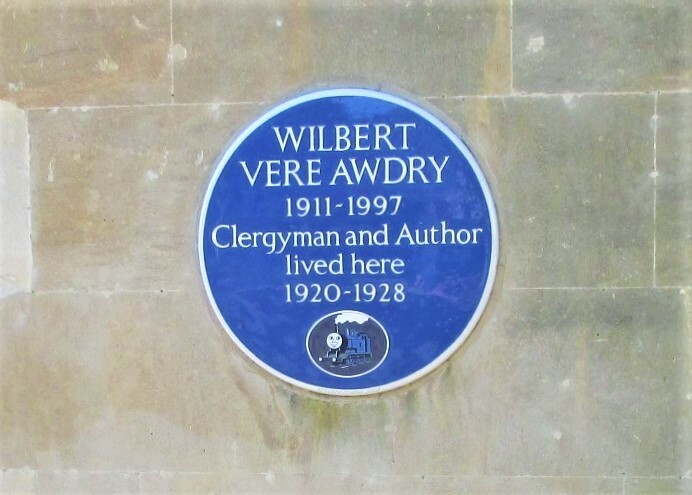 In 1936 Wilbert followed his father into the church and was ordained in Winchester Cathedral. He then held curacies in Hampshire, Wiltshire and Birmingham. In 1946 he was given his first parish at Elsworth, Cambridgeshire. In 1945, his first book ‘The Three Railway Engines’ was published. His much more famous ‘Thomas the Tank Engine’ followed in 1946. It seems that concerns about his daughters’ future schooling drew Awdry from Elsworth to the Wisbech area and St. Edmund’s Church at Emneth. Both daughters attended Wisbech High School, three miles from Emneth Vicarage, and his wife Margaret taught in Wisbech at the Queen’s Girls School for 10 years. ‘Gordon the Big Engine’ was the first book published during his Emneth incumbency and 12 more followed before he left the parish for a lengthy retirement in Stroud, Gloucestershire. By then his books had sold in their millions and he had acquired celebrity status as “the Puff Puff Parson”. He continued to publish his stories but stopped writing in 1972 after ‘Tramway Engines’. In 1983, Wilbert made his final visit to Wisbech when he opened the Tramway Centenary Exhibition at Wisbech Museum. Awdry was awarded an OBE in the 1996 New Year's Honours List, but by that time his health had deteriorated and he was unable to travel to London. Although he continued to live modestly, his railway books had made him very wealthy and on his death, on 21 March 1997, he left an estate of £2.4 million. In 2004 a memorial window at St. Edmund’s containing an image of Thomas, his most famous creation, was dedicated to his memory. In June 2011, on the centenary of his birth, a blue plaque was erected on the wall of Emneth Old Vicarage. In testament to the local affection still felt for him, in 2013 Cambridgeshire County Council’s new Wisbech office block was named Awdry House, following a public online poll. A pedestrian rail crossing bridge has been dedicated to Awdry in 2017 in the small Hampshire town of Chandlers Ford, which is very close (and has the closest railway line and station) to his birthplace of Ampfield.